Antonia is a lovely, literary name that almost hit it big in the 1990s – but didn’t. 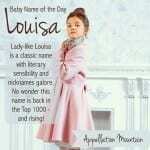 Now our Baby Name of the Day is back in the US Top 1000, and seems poised to catch on at last. Anthony is an evergreen classic, a name that has never left the US Top 1000, and has been in the Top 100 nearly every year. All of the Anthony names trace their roots to the Roman family name Antonius. Mark Antony is the most famous of the Antonius clan, immortalized by Shakespeare. For all Antony’s fame, the name’s roots are obscure. Most sources agree it is Etruscan, but the meaning is lost to time. 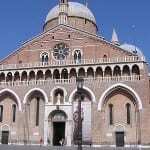 It’s remained popular over the centuries, and throughout Europe, thanks to two saints: the third century Egyptian hermit Saint Anthony, and Saint Anthony of Padua, who came along about a thousand years later. The ‘h’ is a creative addition, based on the Greek anthos – flower. 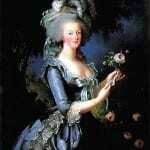 There are plenty of feminine forms, like Antoinette and Antonella. 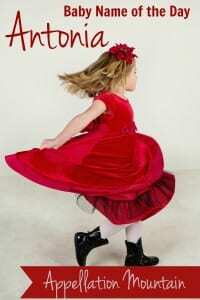 But Antonia is the most common, heard in more than a dozen languages. 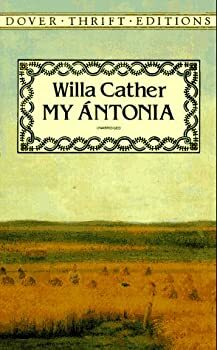 In 1918, American writer Willa Cather published My Ántonia. It’s considered a masterpiece. Cather’s story is about the lives of Nebraska pioneers. Jim Burden is an orphan traveling to live with his grandparents. Antonia is the daughter of immigrants. She and her family are the nearest neighbors to Jim’s family. They become friends, assisting each other in various ways through a difficult winter, and through the years that follow. It’s a story that ends happily, but it’s no fairytale. In 1995, it became a made for TV movie. For years, Antonia was a steady rarity. The name ranked as high as the 300s, but never left the US Top 700. Then came 1995, and the small screen adaptation of the novel. Antonia crept up to #543, and then #394 in 1996. Besides the televised version of Cather’s classic work, there was a 1995 Dutch film called Antonia’s Line, another story that might have boosted the name, at least after it won the Academy Award for Best Foreign Language Film. It also fit with 1990s favorites like Alexandra and Samantha. But the spike in usage didn’t last, and by 1997, the name was slipped again. It left the US Top 1000 entirely after 2007. It’s the first name of British novelist A.S. Byatt. The S is for Susan. There’s also Lady Antonia Fraser, another British writer. It’s one of the gorgeous character names in Gothic novel The Monk, written in 1796 by Matthew “Monk” Lewis. Other character include Leonella, Christoval, and Ursula. Antonia Novello was the fourteenth Surgeon General of the United States, and the first woman and first Hispanic to hold the office. It’s the first name of actress Nia Vardalos. It’s an eclectic bunch, probably because the name has never been really common in the English-speaking world. It’s more familiar in Europe, and in parts of Latin America, too. If you love strong names for girls like Eleanor and Amelia, but want something less popular, this name belongs on your shortlist. While Antonia returned to the US Top 1000 in 2014, it’s still a nicely under-the-radar choice. What do you think of Antonia? Would you consider it for a daughter? 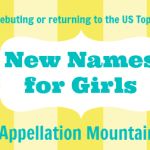 I think this is a very pretty name – is the correct pronunciation An-ton-EE-uh, or An-TONE-yah? I prefer it with four syllables, emphasis on the EE. It’s on my middle name list, but I’m worried that it’s too matchy matchy with my daughter’s middle, Josephine. My girl’s name right now is a toss up between Margot Anne and Margot Antonia. My daughter’s name is Trudy Josephine. If it’s a boy, the name would be George Phillip. It was on our short list, but the split in pronunciation killed it. If even your own parents can’t agree in how your name is pronounced…. *sigh* I do love this name. She’s elegant, classic, pronounceable, and oh-so-rare. And the nicknames abound! Annie, Nia, Toni, & Attie. 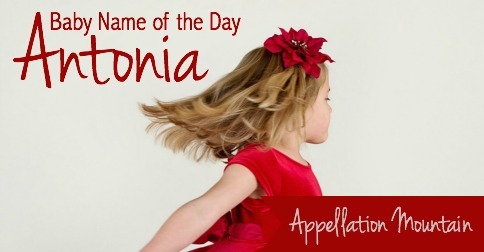 It would be lovely to meet a charming little Antonia!